Transport of cows/goats/sheep anddistribution of meat to the direct beneficiaries. Transport &amp;Distribute food stuff to the needy people. Organizing & distributing insurance coverage cards to beneficiaries. The project targeted the 78 women of Rwamagana district in the Eastern province of Rwanda who gathered in the Cooperative called “Abakundamuco Cooperative”, these women are craft makers and they normally make craft products, bed sheets and baskets. This project came to empower them in terms of providing them a house which will be used as their place of gathering while making products and this helped them to have fixed address. Women empowerment through providing the house. Help women to have physical address. Vulnerable women from Abakundamuco Cooperative. 78 women from Abakundamuco Cooperative are self employed. Abakundamuco Cooperative members are now having the physical address where everyone can reach them and what they produce. By having the physical address, the cooperative can sell easily their products. As-Sadaqat (here it means Zakat) are only for the Fuqara’ (poor), and Al-Masakin (the needy) and those employed to collect (the funds); and for to attract the hearts of those who have been inclined (towards Islam); and to free the captives; and for those in debt; and for Allah’s Cause (i.e. for Mujahidun – those fighting in the holy wars), and for the wayfarer (a travelerwho is cut off from everything); a duty imposed by Allah. And Allah is All-Knower, All-Wise. 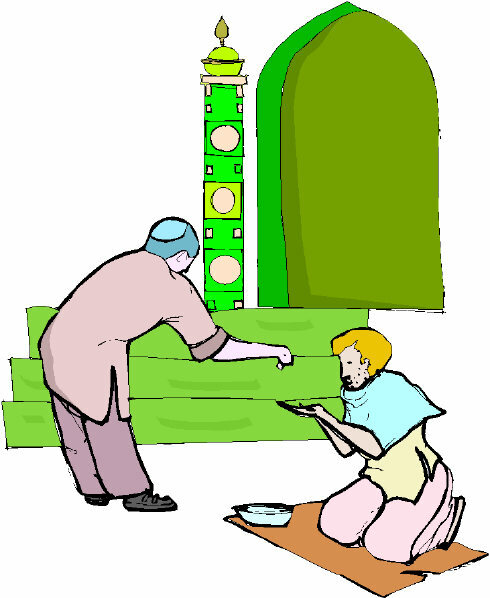 The Prophet said, “If someone gives as charity so much as the equivalent of a single date from honest earnings and God accepts only what is honest – God takes it in the Right Hand, then makes it increase for the one responsible, just as one of you raises foal, until it becomes as big as a mountain. Umbrella for Vulnerable is a nonprofit making Organization registered by the Ministry of Local Government of the Republic of Rwanda, Registration number 117/2011. Umbrella for Vulnerable among many activities collects ZAKAAT and strives to eradicate poverty within Rwandan Muslim household and that is the essence of ZAKAAT. Umbrella for Vulnerable is engaged in the implementation of the first project of eradicating poverty and the beneficiaries of the project are Muslims of NYAGASAMBU, Rwamagana District Eastern Provence. May Allah reward, protect, and bless the wealth of our Donor from BOTSWANA, may Allah by the Blessings of the second ten of RAMADHAN forgive our Donor all his shortcomings and guide his Family to the right path journey ending in JANAT AL FIRDAUS through RAYAN the gate spared by Allah for those who keep fast in Ramadhan, ya Allah our Donor has kept his Ramadhan and paid his ZAKAAT. Umbrella for Vulnerable is the nation non-government organization based in Rwanda, in its programs poverty eradication, it started the fishery project using dams, the project will empower the beneficiaries in income generating activities which led to the economic empowerment in terms of fighting illiteracy, covering medical scheme and malnutrition. May Allah reward, protect, and bless the wealth of our Donor from BOTSWANA who help us to transform the some of vulnerable people in Rwanda through their Zakatul mal, may Allah by the Blessings of this holy months forgive our Donors all his shortcomings and guide his Family to the right path journey ending in JANAT AL FIRDAUS. This project has been able due is the support from our partners/Donors from Botswana. Umbrella for Vulnerable is takes this opportunity to thank the donors and as long as the funds will be available from other donors/partners such kind of projects will be spread around the country. IMAGINE HOW ONLY 2,485 US DOLLARS TRANSFORM THE WHOLE LIVES OF 34 PEOPLE.